Support Small Business Saturday 20% Off TeacherspayTeachers Sale! - Fern Smith's Classroom Ideas! Support Small Business Saturday 20% Off TeacherspayTeachers Sale! 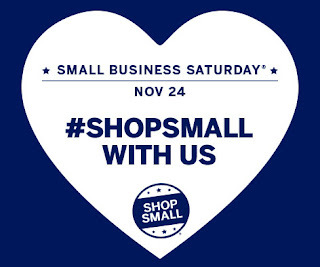 Happy Saturday, more importantly, Happy Support Small Business Saturday! Today is Small Business Saturday, during the rush of the Christmas season, American Express started this little campaign to support small businesses. To celebrate, because I'm a kindergarten teacher, we enjoy celebrating everything big and small, my TpT store is 20% off, including my already discounted bundles! I've touched on some of my favorite items to help you plan and prepare for the next three weeks before Christmas vacation!